The new EMS Station 21. County officials and Saint Alphonsus Health System celebrated the opening of the new EMS Station 21. 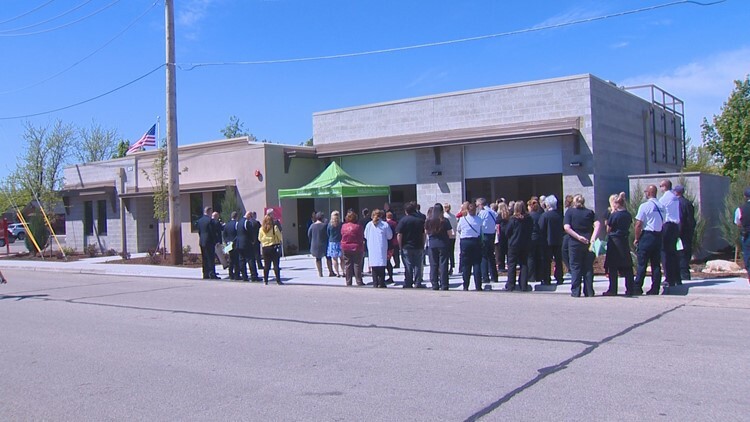 BOISE -- Paramedics working out of the busiest station in Ada County have a new home. County officials and Saint Alphonsus Health System celebrated the opening of the new EMS Station 21 earlier today. It's located near the helipad for the Saint Alphonsus Regional Medical Center in Boise. The new building replaces what county Commissioner Dave Case described as a doublewide trailer that was becoming dilapidated. In its place is a facility that has more room for paramedic training, and room to grow, and Case says, it's the result of a public-private collaboration between Saint Alphonsus and the county. "We came together as a team, and what you see here today is the fruits of those discussions," said Case. “As a trauma level two, we know that we have the skill set in our facility to be able to serve the community, and to have our paramedics be able to provide care in that golden hour, which is critical for us to be able to serve our community, and do the things that we do," said Odette Bolano, President of Saint Alphonsus Regional Medical Center. Paramedics will begin operating from the new station on Monday.